What is the Treatment for Black Mold? If you’re looking for a treatment for black mold, you know that you already have mold in your home. There are certain things that you have to do to get medical treatment for black mold and we will tell you how to detox from black mold. This article is all about what happens whenever you come into contact with black mold and the black mold exposure that you may suffer from. There are a lot of things that you have to consider whenever you’re being treated for black mold. Aside from the obvious mold remediation, there are a few things you can do to help yourself and your family if there has been black mold exposure. Black mold is a terrible type of mold and it is one of the most toxic to humans, so detoxification and treatment for black mold may be necessary. There are a few people that have lost a lot to mold. If you get to it early enough, you can salvage many things from black mold. However, sometimes it spreads out of control and the only solution is to destroy the house as it is… unless you hire a mold cleanup service to take care of it. Sometimes you simply need the professionals. Black mold is nothing to play around with! It can make you sick and it is a good idea to get your local mold cleanup company involved as early as possible. Black mold is a type of mold that is a lot worse than the regular stuff. Mold is already bad enough, but black mold is one of the most toxic forms of mold that can appear in the home. It can destroy lives and make things very difficult if left alone. Mold is already bad enough as it is, so getting this mold is very detrimental to you and your health. Mold is a fungus that spreads in areas where there is moisture and heat. Without much ventilation, it can grow and spread like a wildfire. These molds produce spores that we inhale. They will be in the air and our bodies will take it in regardless if we want it or not. The mold spores will cause our immune systems to act up. If you have a lung disease or sensitivity problems, it can make those symptoms worse. Black mold is a type of mold. The scientific name for it is Stachybotrys, or more specifically, S. chartarum or S. chlorohalonata. This mold, along with the other types in the Stachybotrys genus, will produce mycotoxins. This mold is also linked to a few deaths, including two infants in Cleveland, Ohio in the 1990’s, which sparked the alarm for mold. People dismiss it, but even the U.S. Government has weaponized mold and it's well documented. It's not just the U.S. It is suspected that mold was used as a bio-weapon in the middle east just a few decades ago. Mycotoxins are a toxic metabolite produced by many fungi. It causes diseases and death in both animals and humans. It is everywhere around us in small quantities, but black mold and other fungi can produce quite a bit. In areas that are damp and unventilated, especially in humid areas, mold will grow into colonies and produce large amounts of mycotoxins. Assuming that you have found mold in your home, the next step is to get it removed. After that, it might be hard to know what to do next. If you’ve come into contact with household mold, you will likely have mold in your lungs or bloodstream. Since that is the case, a detox is in order. Detoxification might seem like a buzz word in this day and age, but it can really bring your health higher than it ever was. There are many ways to detox your body, but the main thing you should do is relax. Stress isn’t good for healing, so remove yourself from stressful situations. The first step of treatment is to take some time off work if you need to, go on a vacation, or do whatever it is that makes you comfortable. 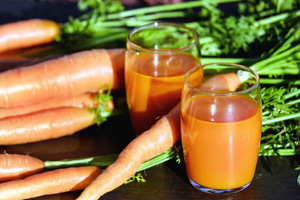 There are many recipes among the Internet to find what sort of recipes that you can make for juices and other things. This includes other experiences of people who have gone through mold remediation. There are a few key things that can help you detoxify your blood and body and become healthier than ever. It takes a few months of dieting, but in the end, you might find yourself better than before. Toxins can be removed from your body through proper eating. 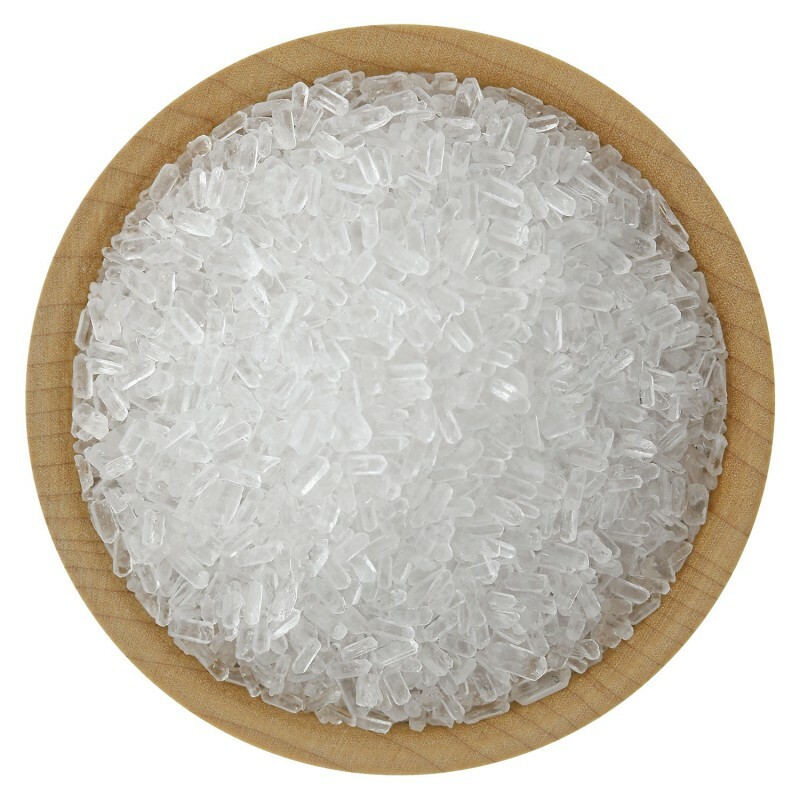 It can also be a good idea to take a bath with certain salts and other detoxification powders in the water. There are other things that you should stay away from while you’re under a detox diet, as well. Things like grains and cheeses are only a couple of things, considering they can consist of mold. Foods consisting of high histamine should also be avoided. These include alcohol, beans, walnuts, cocoa, pickled and canned foods, vinegar, tomatoes, and many frozen or canned fish. Keep in mind, however, not to drink only juices or tea. Your body needs solid foods with vitamins and minerals to provide the healing it needs. A human cannot live on liquids alone, so be sure to include regular foods to your diet. You don’t have to eat as much, but do not starve yourself. Drinking a lot of water is also a good thing to do. While not high on many people’s lists, bathing in detoxification substances can do very good things for you and your skin. A nightly bath is a great way to relax, but you can add certain things to your water to assist in your cleansing. People have used bathing for centuries to not only clean themselves, but to also rid their bodies of unmentionables. Even the ancient Egyptians used baths to cleanse their bodies. The treatment is clear. Some of the following items can be purchased in a store or on the Internet. Some are rarer than others, but you can find most of them in retail. There are also a few bath bombs that you can apply to your bath water if you don’t want to measure out specific things. However, it may not have enough of what you need in the bath bomb, so be sure to know the ingredients. There are a few other optional things that you can add to your bath, like ground ginger, Epsom salt, or apple cider vinegar. Remember to half these measurements if your children are taking part in the bathing. Before you get into the water, be sure to drink a full glass of water. These substances will pull out harmful toxicities and impurities, but it will also dehydrate you. Whenever you settle in the water for about 20-40 minutes, you will possibly experience tingling sensations and even slight headaches. Because of the water drawing out the impurities, you will possibly even feel flu-like symptoms. As said above, you may experience some lightheaded feelings and other slight pains after bathing in these substances. This is normal for the treatment, but be careful when getting out of the bathtub. Make sure to have a glass of water nearby to replace more hydration to your body after getting out. After you bathe, you may want to lie down and relax and let your body rebuild the hydration from the glasses of water. Relaxing will be necessary after you take the bath. If your kids are detoxing as well, make sure you keep an eye on them whenever they get out. They may not be able to handle it as well, so let them relax as much as they need to. Be sure to give them as much water as they need because they will likely need the detoxification as well. We all know that exercise is healthy. No matter what sort of activity, be it yoga, weight lifting, or cardio. Exercise is a good way to keep you even healthier than before. It helps with the detoxification process because it can keep you healthy and active, assisting in sweating out the other toxicities in your body. While there’s not much science in it, exercise will help in the process of getting rid of the impurities in your bloodstream. It doesn’t have to be hard, after all. Exercise can be tough to do, but things like yoga and cardio can be a lot of fun for everyone. Even kids can enjoy these sorts of things. It can be quite nice to go to the gym with a friend. While most gyms aren’t too kid-friendly, there are some fun exercises you can do at home. However, playing outside can be just as beneficial as working out in a gym. There are many gyms that provide free trials, so there’s no reason not to check out a few of them. 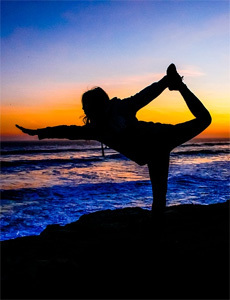 Even yoga teachers accept students in a trial format, so be sure to check around. There are many local health establishments around you and a simple Google search can yield quite a few results. If not, there are a few exercises that you can do in your own home. Mold is toxic and can produce small particles called mycotoxins. These toxins are dangerous in the sense that they can cause a lot of problems for you, your family, and even your pets. 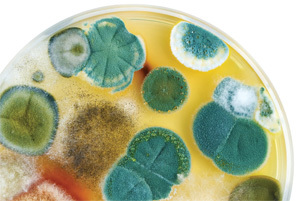 Black mold is one of the most dangerous molds of all the types, considering it can produce a lot of mycotoxins compared to a few others, but all of them can be bad. If you’re ever exposed to mold, it can be a trying time. Treatment is necessary because mold is dangerous and it will infect you. The mycotoxins will cause a lot of respiratory problems, including chest pains, breathing issues, and allergy responses. In extreme cases, there have even been reports of death. Sometimes, mold can get so bad that you have to destroy the house altogether and no amount of mold remediation will help. However, if you do go through mold remediation, there are also the steps of detoxification. Detox is a word that is thrown around a lot with people who are adamant about trying new healthy things, but it actually has merit. Sarah went through mold remediation and detox and you can read about her story. Dieting, exercising, and even bathing in salts and other substances can give you a healthier life than you’ve ever had before. Get the mold out of your body with the treatment for black mold. The simplest form of life on our planet is mold, and it responsible for decomposing decaying matter while returning vital nutrients back to the ecosystem. But as much good as mold does for the planet, it can lead to significant diseases in both animals and humans. How Do Mold Tests Work?